A dresser is the second largest piece of furniture, after the bed, in your bedroom. And more often than not, its top and insides get cluttered making it look shabby. You wouldn’t want to see a shabby looking dresser every day, and most importantly you wouldn’t want anyone coming to your room to look at that sight. What if we told you that your dresser could not only look great, but it could also stand out and become the focal point of your bedroom? Yes, it is possible! Here are some hacks that can help you declutter, style your dresser and make it look one-of-a-kind! This is the first step to a beautiful looking chest. Keep everything lying around on the top of the dresser back to where those things are supposed to be kept whether it is the wardrobe or the living room. Only once you’ve emptied the top, can you begin the décor process. At first, this may seem like a tedious task. But you will love the result. This is a classic method to dress up your dresser. You can place a simple or an embellished mirror on the wall above your dresser depending on the style of your room. By adding a mirror, your bedroom will have more light and look spacious as well. Also, a mirror is a functional accessory. So, you can also hang a decorative accessory on the side, like a picture or a poster, to add a fun element to the dresser. A combination of functionality and décor looks great! 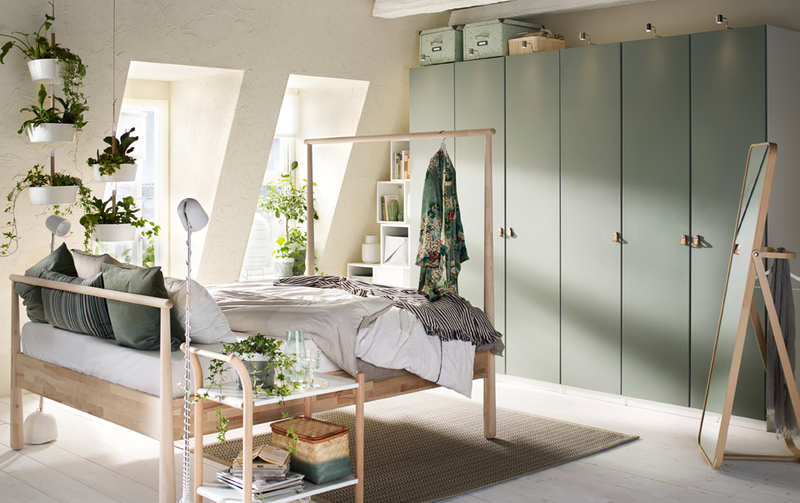 This space in your bedroom is perfect for adding a bit of your personality to it. You could start by adding a lovely table lamp here. If you like flowers, you could put a beautiful vase here with your favourite flowers. Furthermore, you could also place a combination of a few houseplants, a few coffee table books, aromatic candles, decorative trays with memorabilia collected in your travels, framed photos, jewellery box, etc. Remember the key is to not over-do it. So, keep adding these things one by one or a few at a time. Don’t add all of them together as that will only make it over-crowded. You can keep adding and removing things every once in a while, till you are entirely happy with the result. Your dresser, like your wardrobe, is an important piece of furniture in your room. So, keep it simple, clean and well-organised. Happy decorating!